Banking on the skills of our team of professionals, we are involved in offering Activated Alumina. This product is used for an adsorbent and catalyst applications. Our offered product is available at economical pries. 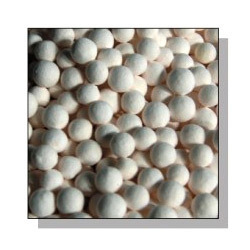 This Activated Alumina is manufactured by using high quality raw material and latest technology. 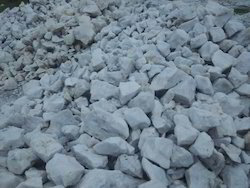 We are offering high-end quality of Pink Potash Feldspar to our clients. Our Pink Potash Feldspar is a very common mineral, its mostly used in ceramic raw material. They are most essential ceramic material. It is the universal flux used in all types of ceramics bodies. Our Pink Potash Feldspar is a very common mineral its mostly use in ceramic raw material. These is the most essential ceramic material. It is the universal flux used in all types of ceramics bodies. We only deal in export inquiries. We are acknowledged for providing excellent variety of ball clay, namelyBall Clay (ISRO). Ball Clay that we offer is composed of mica, kaolinite and quartz. Ball Clay is immensely used for making different types of pottery and ceramic products. Prices change based on grades. Sefoniel a prominent supplier of alumina. Our range is known for increasing efficiency without contamination and production of any sort of by-product. We offer these at market competitive prices. We are manufacturer and supplier of GVT Satin Mixtures. Our offered range of vitrified glaze mixture is manufactured using premium quality raw material, procured from the most trusted and reliable vendors of the market.